Here are two collections we’re anticipating from Laufen’s booth at ICFF 2018. At Salone Del Mobile, Laufen unveiled a groundbreaking booth that immersed visitors in the heart of the company’s production site. 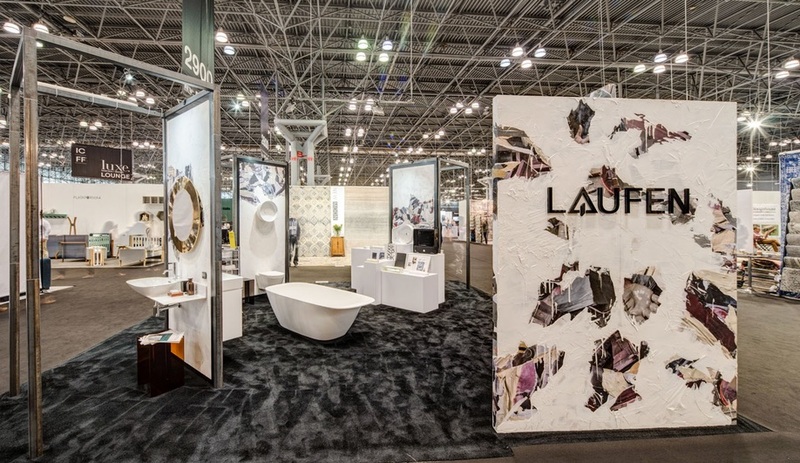 For New York’s ICFF, which lands at the Javits Center from May 20-23, expect a different adaptation of the booth concept: one that incorporates the proud tradition of craftsmanship and also celebrates the lines that have established Laufen as a force in complete and architecture-integrated bathrooms. Established in 1892 in Laufen, Switzerland, the brand specializes in premium bathroom products. It manufactures ceramics and faucets, and distributes furniture, accessories, bathtubs and shower trays. 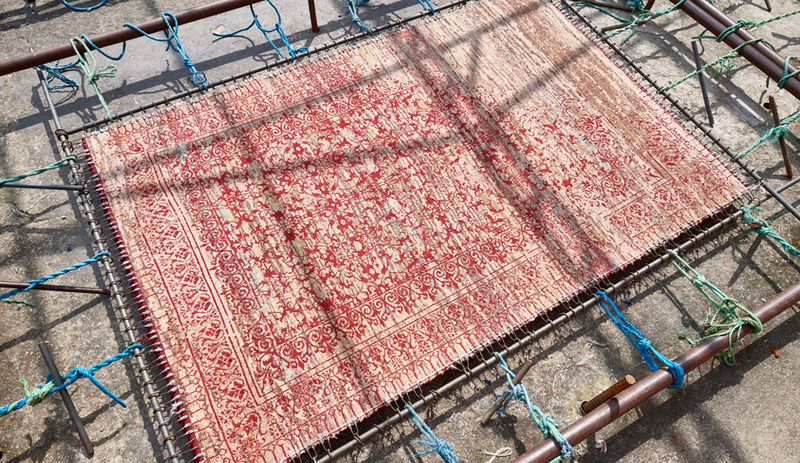 It has cultivated an international following, enhancing its legacy in craftsmanship through collaborations with designers such as Patricia Urquiola, Toan Nguyen, Roberto Palomba and, most recently, Marcel Wanders. 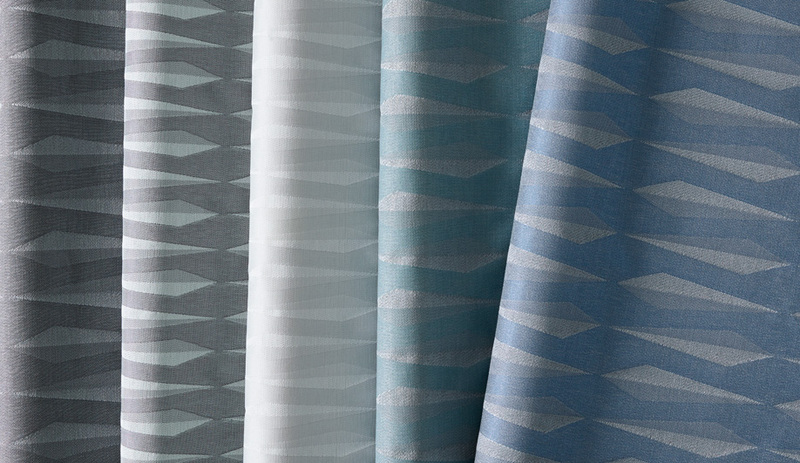 Their innovative bathroom lines have pushed technical boundaries, especially with SaphirKeramik. 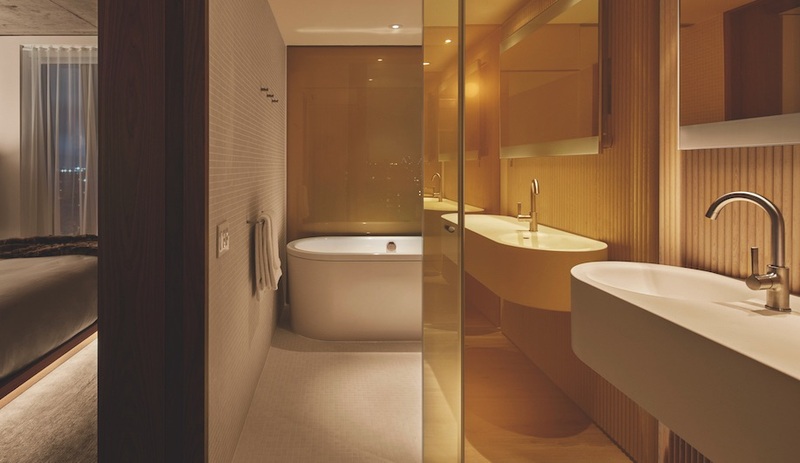 For ICFF, Laufen will highlight some of their collections for the U.S. market, along with a number of bespoke projects – including their acclaimed work for hotel projects in New York City (above), among other places. 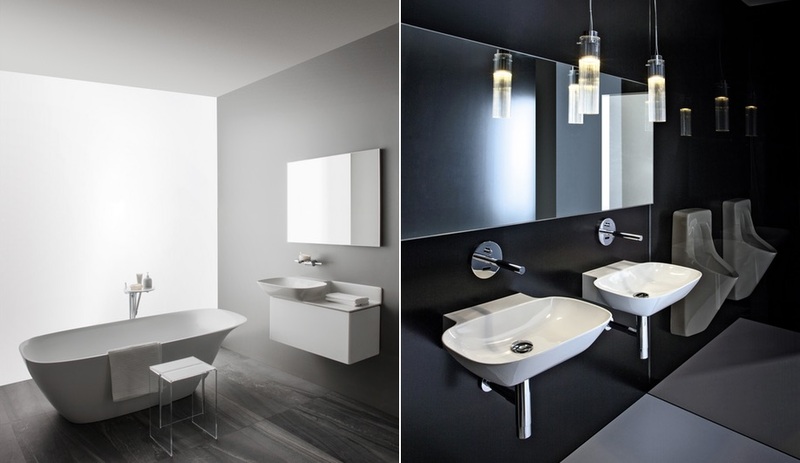 Here are two collections we’re anticipating from Laufen’s ICFF booth. 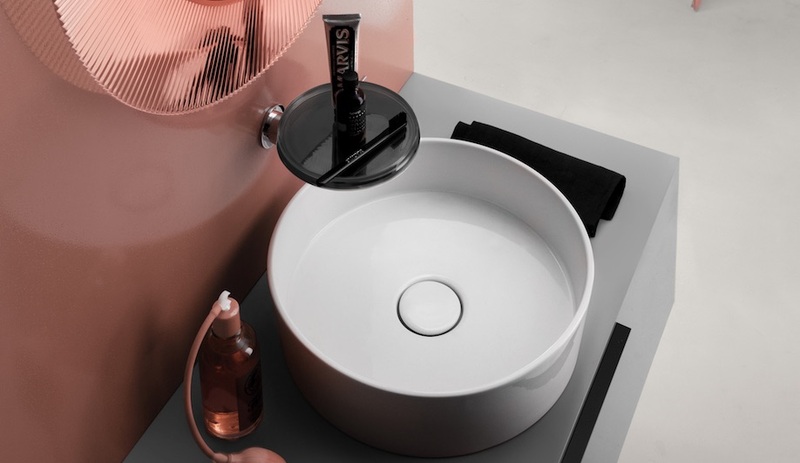 Nguyen reinterpreted the conventional shape of the washbasin with the aim of creating a practical and functional product. 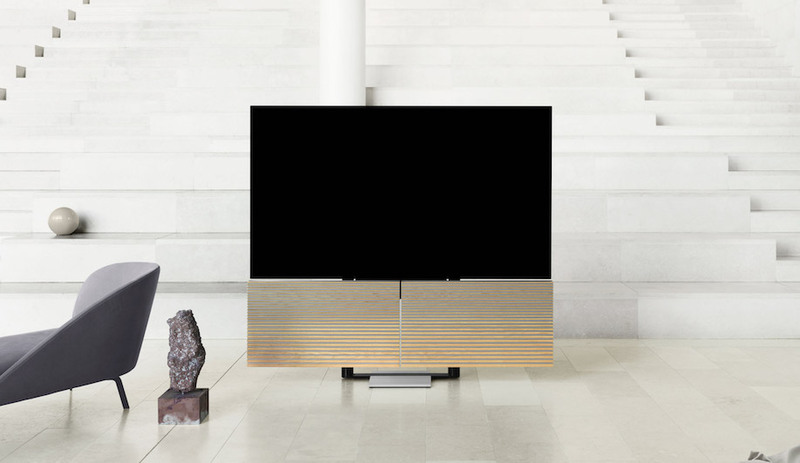 It is suitable for everyday use, but at the same time, features aesthetically attractive lines. 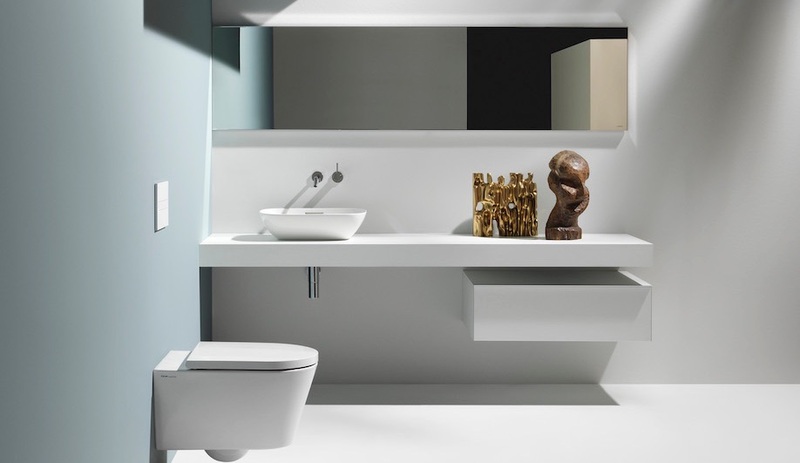 A partnership between Kartell’s iconic design and Laufen’s drive to innovate, this collection includes a complete range of furnishings, accessories and sanitaryware, available in different finishes (including the new matte white). Already iconic, the freestanding washbasin features a line pattern or coloured surfaces; it impresses as a standalone product, or can turn any bathroom into an eye-catching environment. 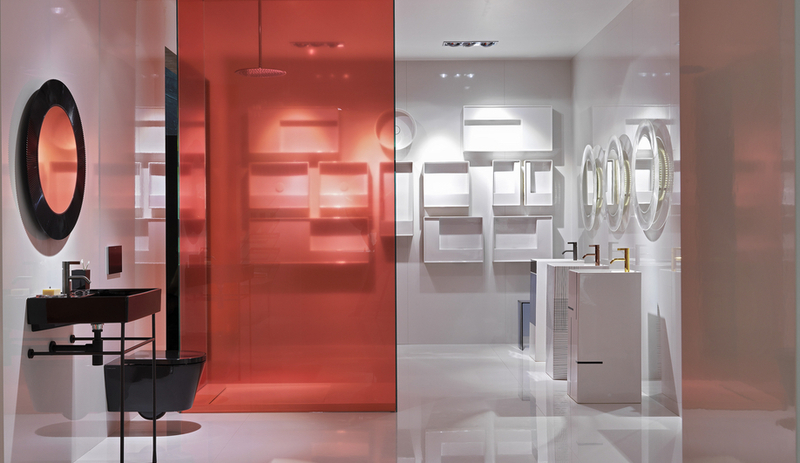 Accessories offer a range of vibrant colours, contrasting with the finishes of bathroom furniture. Laufen will be at ICFF in New York May 20-23, Jacob K. Javits Center, booth 2933. 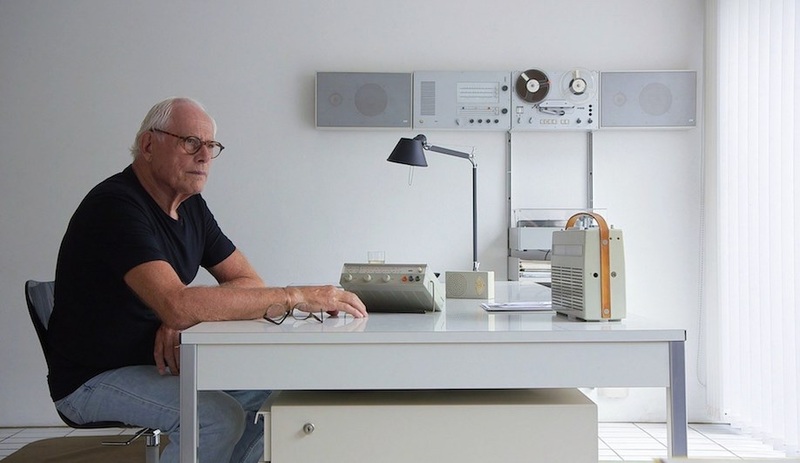 This content was published by Azure on behalf of Laufen.